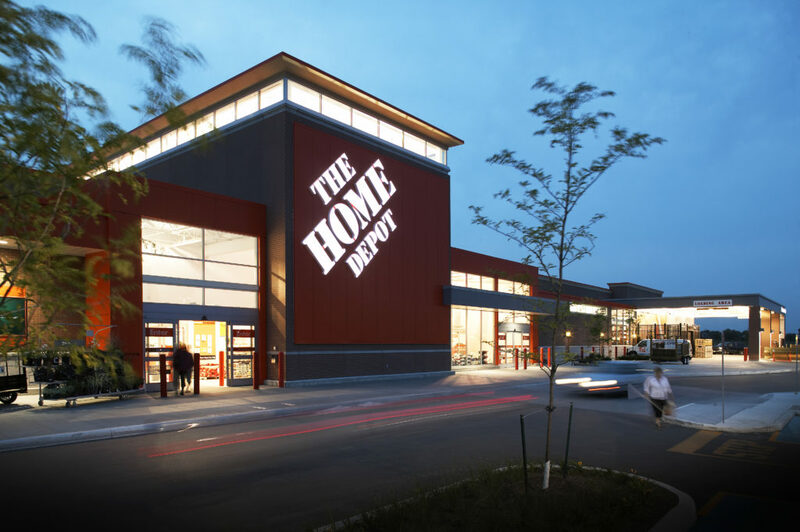 The Home Depot of Canada Inc.
An international and retail giant, Home Depot Canada, initially engaged Turner Fleischer to review potential sites for new locations across central and eastern Canada, coupled with engineering and building new stores. Bringing TF’s commercial roll-out experience to the projects, the client required a firm that could commit to grow their staff to service an aggressive expansion plan. Turner Fleischer was Home Depot Canada’s prototype Architect for Canada. The team worked with the client to analyze ways of reducing construction costs from warehouse facilities and stores completed in the United States, when applying the same building model North of the border. 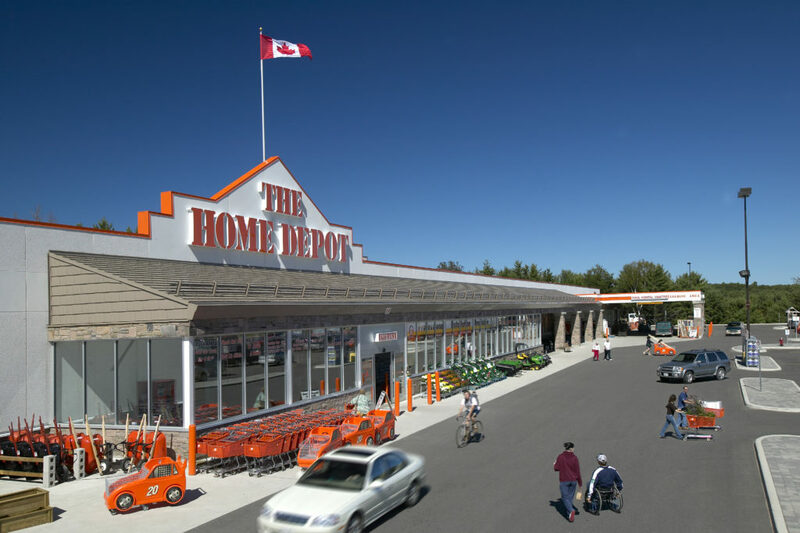 Our services expanded to include working on Home Depot stores in Newfoundland, Prince Edward Island, Nova Scotia, New Brunswick, Ontario, Manitoba, and British Columbia, as well as two Distribution Centres in Alberta. With a long relationship working with the client, for projects previous to 2008, the Turner Fleischer team maintained and implemented their prototype store across Canada. The client mandate was to achieve grand opening 29 weeks after project mobilization, which TF was able to do for over 50 stores. 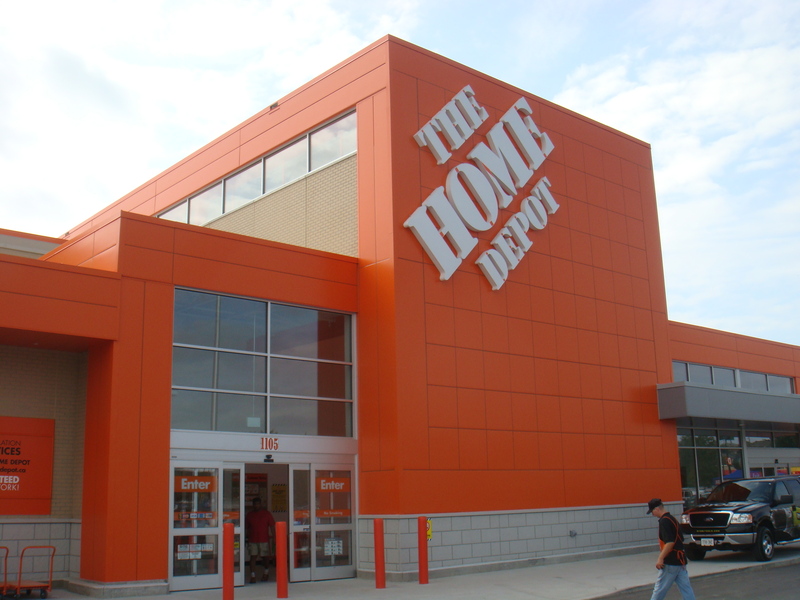 After 2008, the Home Depot U.S. team took over management of all new construction projects, and Turner Fleischer’s tasks shifted to the implementation of their new American prototype into the Canadian market. Addressing a roll-out of this magnitude, Turner Fleischer quickly learned what was necessary in order to create a program that stay on schedule and delivered as a consistent product.